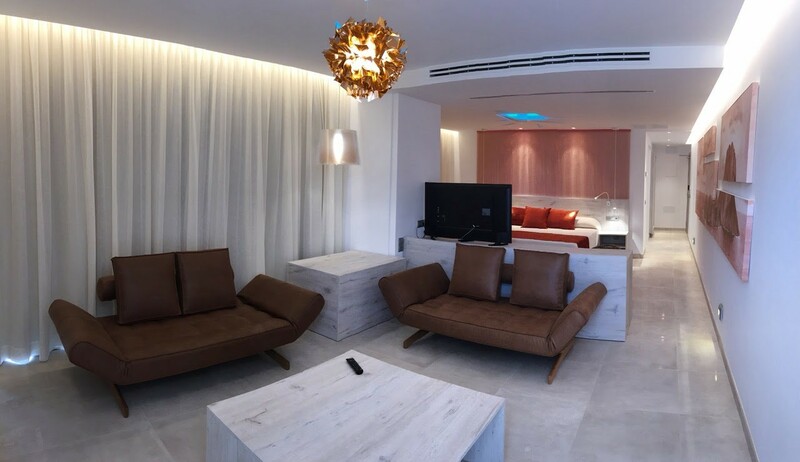 Next to impressive coves and beaches of crystal clear water, we find the Hotel Abrat, located in the Bay of San Antonio, Ibiza, recently renovated for the guest to enjoy a modern and avant-garde environment, dressed in spacious and green gardens. The rooms, where we can find the versatile and light links of Kriskadecor, stand out for the luminosity provided by the light tones in all its forms: walls, floor, curtains and minimalist furniture. 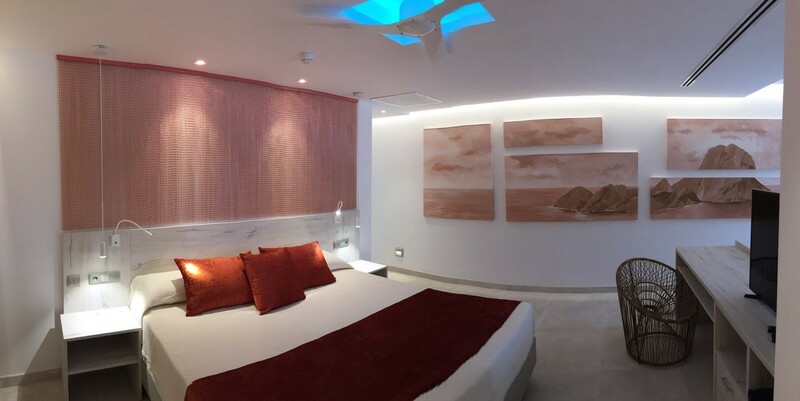 To add a touch of color, Aixut Interiorisme included a Kriskadecor curtain in brilliant pink as a headboard that, combined with the white, stands out elegantly, adding dynamism to the space.